← May we all help each other out…. making mistakes as we’re living our lives. 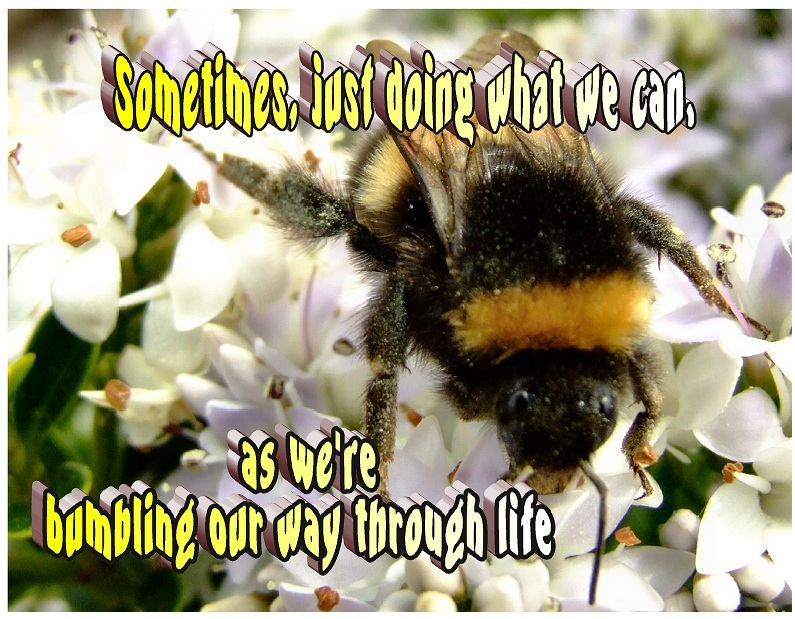 As we sometimes “bumble” our way through life….. This entry was posted in Encouragement and tagged Encouragement, Inspiration, Life, Mindfulness, Motivation, Spirituality. Bookmark the permalink. I’m sure that a lot of my own sense of empathy, compassion and understanding have come out of “lessons” I’ve learned from making mistakes…”mistakes” as the teacher. I love the bumbling along analogy. 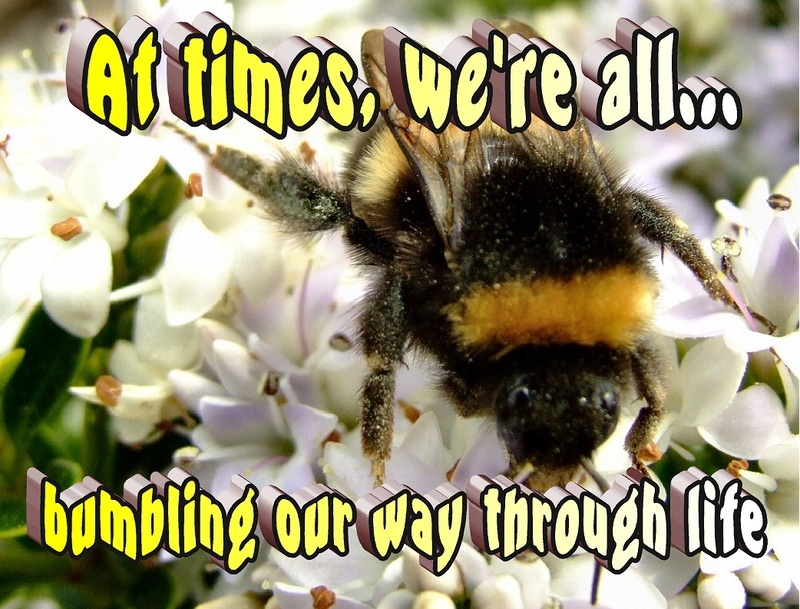 Sometimes I feel like a bumbling idiot, making the same foolish mistakes over and over. I don’t know how you experienced bloggers can even begin to keep up with life, jobs, writing your insightful posts, reading other’s blogs, commenting etc…I’m in awe! 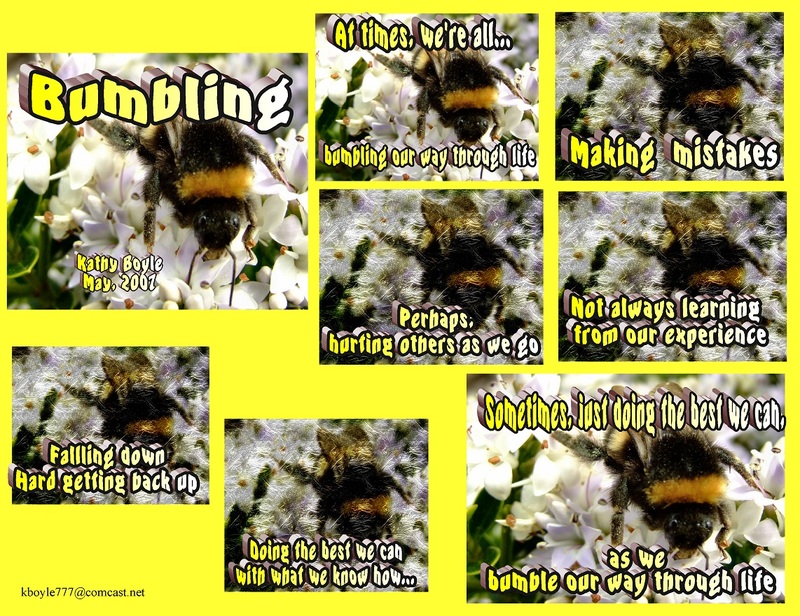 Beautiful, golden words of wisdom coupled with wonderful bumble bee photos.Personally, I made so many mistakes , big and small, painful with huge negative effects sometimes. But it’s this mistakes that led me to the right path and made into a stronger person, Mistakes reminds us that we are human, that we can be vulnerable , that we need a more powerful force than us to help us go through the trials we face everday.Thank you for sharing an important post that gives an invaluable lesson to us all. A blessed day to you and your family.